ELBO CONTROLLI make used Tool presetter. Model No. : WASP. Manufacturing year: 2006. Refer the attached PDF file for technical specifications. The tool pre-setting device enables to measure, to inspect and to set cutting tools which are used in the material machining..
- With Heidenhain 2-Axis DRO. 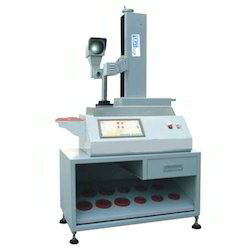 Optical Tool Presetter for Milling & Turning Tools. 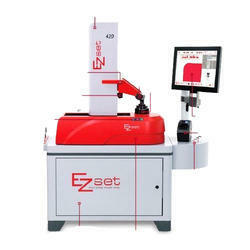 We are a remarkable entity in this domain, engaged in offering a qualitative assortment of Z Axis Presetter.